We're now less than two weeks away from Election Day, and voters are beginning to look into the various State Questions and Judges that will be on the ballot. 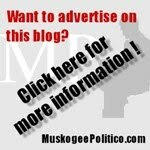 Here is a voters' guide from Steve Fair and Georgia Williams, two conservative activists from southwestern Oklahoma. Fair blogs at Fair and Biased, and served a term as National Committeeman for the Oklahoma Republican Party, while Williams currently serves as Vice-Chair for the Comanche County Republican Party. This is Williams & Fair’s twentieth year of providing analysis of the State Questions, the Justices and Judges on the Oklahoma general election ballot. Georgia Williams and Steve Fair hosted The Grapevine, a popular radio show for five years. They are knowledgeable and thorough in their research. They evaluate each proposal and person. They provide commentary on the state questions and a profile of the justices/judges. They give their recommendations on how to vote on each SQ and judge. While Steve and Georgia are both active in the Republican Party, their views do not necessarily reflect the views of the Party. 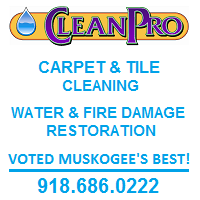 To contact them, email okgop@aol.com or jorjaw@sbcglobal.net. State Question #776: This measure would add a Section 9A to Article II of the Oklahoma Constitution. It states that all death penalty statutes are in effect, that methods of execution can be changed, and that the death penalty is not cruel and usual punishment. Steve: This state question came to be because of a shortage of the drugs that were approved for executions. Oklahoma has used lethal drug injection as the vehicle to execute for several years. In years past, the gas chamber was used as was the electric chair. In our state’s early history, hanging and firing squads were used. The AG and DOC need the flexibility to carry out the death penalty as pronounced by a jury by whatever method they believe is best. I WILL VOTE YES ON #776. Georgia: Some crimes are deserving of the death penalty. The controversy over the use of ‘generic’ drugs to carry out an execution was a tempest in a teapot. If a criminal has been convicted by a jury of a capital crime and exhausted their appeals, the method of execution should not be the issue. They should meet their maker. I WILL VOTE YES ON #776. State Question #777: This measure would add Section 38 to Article II of the Oklahoma Constitution. It creates the guaranteed right to engage in farming and ranching. Steve: This proposal protects Oklahoma farmers and ranchers from unreasonable government interference and attacks by out of state special interests. With radical groups like PETA and other ‘animal rights’ activists, food producers and processors are playing under a new set of rules. GMO labeling, mandated reduction of sugar, fat and sodium in processed food have found their way into the marketplace and EVERY American should be aware that it costs them every time one of these radical groups is successful in getting a proposal through a state legislature. I WILL VOTE YES ON #777. Georgia: This amendment is supported by farmer-led organizations all across Oklahoma, because agriculture is the lifeblood of Oklahoma’s economy and a deeply held part of Oklahoma’s heritage. The Right to Farm will protect all farmers equally and ensure that you have access to great-tasting, healthy, affordable nutrition. I WILL VOTE YES ON #777. 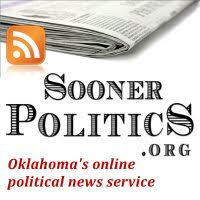 State Question #779: Would create a new Article (#13C) to the Oklahoma Constitution. It would create a “limited purpose fund’ to improve public education. It would levy a one cent sales and use tax to provide revenue for the education fund. It would allocate funds for specific institutions and purposes related to the improvement of public education. Steve: If #779 is passed it would make Oklahoma #1 in the nation in sales tax. While teachers deserve a pay raise, so does every Oklahoman. We can ill afford placing our retailers near a bordering state in an uncompetitive situation by raising the sales tax rate. The real issue in education is the number of school districts and administrators. Oklahoma does not get enough money to the classroom, but until we get serious about dealing with that issue, we are nibbling around the edges. I WILL VOTE NO ON #779. Georgia: There are a number of problems with this proposal. First, not all of the money will go to common or public education. A significant amount will go to higher education and the career tech system. When you couple that with the fact the proposal would make Oklahoma the highest sales tax state in the country, this proposal is not in the average Oklahoman’s best interest. There is absolutely no evidence that more money is going to make our kids learn more. We have been hearing that for years- ie horse racing, liquor by the drink, lottery, casino gambling. It never works. Other states have tried a dedicated sales tax for education- ie Mississippi- and it had hasn’t worked. If this is passed, it will take the legislature out of the education funding process- at least with the monies this sales tax would generate. I WILL VOTE NO ON #779. State Questions #780/781: This measure would amend Oklahoma state Statues #63,21 & 59. It would reform the criminal sentences for certain property and drug offenses. It would make drug possession a misdemeanor. It would not affect manufacture or trafficking of drug statues- they would remain felonies. Steve: Because Oklahoma has a high incarceration rate, some groups are intent on keeping what they call non-violent offenders out of prison. They believe drug users are not violent and present no threat to the general public. Most law enforcement in the state oppose this change and rightfully so. While drug users are to be viewed differently than manufacturers or distributors, they still pose a violent threat to society. This SQ is a move to ultimately decriminalize drug use. I WILL VOTE NO ON #780 & 781. Georgia: The fact is these two state questions should have been handled by the state legislature and not be voted on by the people. These are policy questions and that is what we pay the legislature to do- handle policy. I have mixed emotions about these two SQs because we do spend a lot of money locking up people who are drug users, but in the end, it’s important we don’t become soft on crime. I WILL VOTE NO ON #780 &781. State Question #790: This measure would repeal section 5 of Article II of the Oklahoma Constitution that currently prohibits the public expenditure and property use for religious purposes. 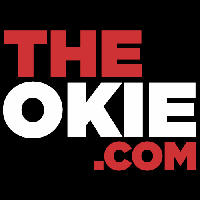 Steve: This issue came up after the Oklahoma State Supreme Court ruled the public display of the Ten Commandments at the Capitol violated the State Constitution. It would repeal the so-called Blaine amendment. Already a satanic group has vowed to petition the state to place a statue of Satan on Capitol grounds if #790 is passed and they may be successful. The fact is America was founded upon the principles of Mosaic law (ten commandments) and the Decalogue should have been allowed to be displayed because of solely on historical significance. The Supreme Court got it wrong. I WILL VOTE YES ON #790. Georgia: The Ten Commandments are the basis for America’s laws, but if this is passed, it will open up the door for every group who call themselves a religious group to have the right to display whatever they want on the Capitol grounds. While I would love to see the Ten Commandments returned to the Capitol, I think it must be on the basis they were the basis for our system of laws, not because they are a religious symbol. I WILL VOTE NO ON #790. 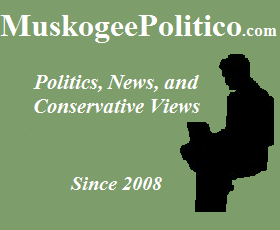 State Question #792: This measure would add a new Article 28A to the Oklahoma Constitution. It would permit current liquor licensees to see ‘low point’ beer. It would allow grocery stores and supercenters to obtain licenses to sell wine and strong beer. Steve: Oklahoma has some of the strangest liquor laws in America. Many mistakenly believe it is because of the religious conservatives in the state, but the fact is the liquor distributors have ‘managed’ how Oklahoma consumers could purchase liquor. For me, this is simply a ‘free market’ issue. These are legal products that under current law cost Oklahomans 20% more to purchase than consumers in other states. There is little evidence that expansion of liquor into wider distribution results in more consumption. I WILL VOTE YES ON #792. Georgia: By making is easier to purchase liquor, more liquor will be consumed. For me, this is a conviction. I cannot vote to expand liquor distribution. I realize the liquor industry tries to control the way Oklahomans purchase their products, but if it is widely available at the local grocery store, more will be consumed. I WILL VOTE NO ON #792. Oklahoma utilizes a ‘retention’ ballot system for judicial offices. The Sooner state has three courts of appeal; The Court of Civil Appeals, The Court of Criminal Appeals, and a State Supreme Court. In November three(3) justices and five(5) judges will be on the retention ballot. Since the state went to the retention ballot system, no justice or judge has been removed from the courts. Judicial reform is much needed in the state. Mandatory retirement age for judges, term limits, or facing the voters in an actual election have all been proposed by state lawmakers. It remains to be seem if true reform will happen in Oklahoma. It is extremely difficult to find any information on justices/judges. We base our recommendations primarily on who appointed them. If a liberal Governor appointed them, they are probably like-minded. Here are the judges Oklahomans will see on the ballot in November and Steve and Georgia’s recommendations. After graduating from law school, Justice Winchester, 63, practiced law in Weatherford and Hinton before being named Associate District Judge for Caddo County in Jan. 1983. In Dec. 1983, at age 30, Justice Winchester became one of the youngest district judges in the state when he was appointed as District Judge for the Sixth Judicial District of Oklahoma. During his tenure as a district judge, he tried more than 200 jury trials, ranging from fraud to first-degree murder death-penalty cases. He is married to former State Representative Susan Winchester, who also serves as the Chairman of the Board of Directors for the OKC bombing memorial museum. VOTE YES FOR RETENTION. Combs, 65, is a member of the Muscogee Nation. He served as district judge in the twenty-third judicial district from 2003 through 2010(Shawnee), and served as special district judge from 1995 to 2003. Prior to taking the bench Combs was in private practice and served as an assistant state attorney general and as a deputy clerk for the Oklahoma Supreme Court. Justice Combs graduated from Shawnee High School in 1969. He attended St. Gregory’s Junior College, now St. Gregory’s University and the University of Oklahoma to earn a bachelor’s degree in political science in 1973. He earned his juris doctorate from the Oklahoma City University School of Law in 1976. Combs is married to Janet Lea Combs and the couple has two sons, both lawyers. VOTE NO AGAINST RETENTION. Smith, 73, is a former Tulsa County District Judge. Smith began her career on the bench in 1994 as a special judge in the Family Division in Tulsa County. She held that post until 1998, when she moved to the Criminal Division. In 2005, then-Gov. Brad Henry appointed her a Tulsa County district judge. In 2010, then Oklahoma Supreme Court Chief Justice James E. Edmondson appointed Smith to the Court of Criminal Appeals after Henry recused himself from the selection. Smith earned a bachelor’s degree in English in 1964 from Oklahoma State University in Stillwater. She taught high school English in Tulsa and Jacksonville, Florida, for 10 years before going to law school. She received her law degree in 1980 from the University of Tulsa and went into private practice. VOTE NO AGAINST RETENTION. Hudson, 59, was appointed to the Court by Governor, Mary Fallin. He was born in Guthrie, Oklahoma and graduated from Guthrie High School in 1975. He graduated from Oklahoma State University in 1980 with a double major in Agricultural Economics and Accounting. He earned his Juris Doctorate from the University Of Oklahoma School Of Law in 1983. After graduating from law school, he went into private practice. He is a former District Attorney and a former Assistant Attorney General. Hudson has been married for thirty-three years. His wife, Mary Hughes Hudson, of Bartlesville, is a school teacher. They have five adult children and numerous grandchildren. Judge Hudson also owns and operates a wheat and cow-calf operation in the Guthrie area. He is a Deacon in the First Southern Baptist Church of Guthrie. VOTE YES FOR RETENTION. Appointed: September 2011 by Governor Mary Fallin. Thornbrugh, 64, was a Tulsa area district judge. Before he was appointed to the bench by Governor Keating, Thornbrugh spent more than 20 years in a private law practice in Tulsa. He is a Vietnam veteran, where he earned a Bronze star. He worked for Senator Dewey Bartlett before he went to University of Tulsa law school. He is married to a college professor and he serves as an adjunct professor at TU. They have five children and five grandchildren. VOTE YES FOR RETENTION. Fischer,68, has both Bachelor and Masters degree in English Literature from the University of Oklahoma. He graduated from OU school of Law in 1975. He was an assistant AG for four years and in private practice from 1980-2006. He is involved in various arts and community activities. Fischer and his wife Pam have been married for 44 years and have two daughters. VOTE NO AGAINST RETENTION. Joplin, 69, received a bachelor's degree and a Juris Doctor degree from the University of Oklahoma. He was a partner in his own law firm, Wheatley & Joplin, from 1978 to 1982, and a partner with Crowe & Dunlevy from 1982 to 1993. Joplin also served as a special prosecutor for the Oklahoma County District Attorney's office from 1976 to 1978, and as general counsel for the State Insurance Department from 1993 to 1994. VOTE NO AGAINST RETENTION.